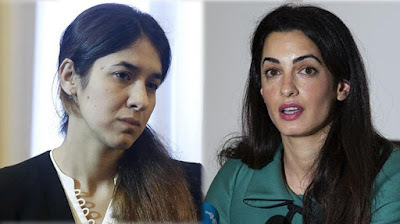 Lord, today we rejoice that Nadia Murad and her legal representative Amal Clooney are moving forward to bring legal action against ISIS. Lord, bless these women for their courage. Please watch over and protect them. Give them favor at every turn as they attempt to induce justice as ISIS continues to wipe out the Yazidi people, as well as other people groups. We do pray the United Nations would give serious consideration to how they can help bring justice to all the women and girls who have been kidnapped, raped and abused by ISIS. We pray the U.N. Security Council would take seriously Murad and Clooney’s request to focus on genocide against Yazidis. May the council not only consider, but act! Again we ask: please guide and protect Murad and Clooney each step of the way as they pursue this legal battle. May their efforts bring about change. In Jesus’ name we pray, amen.